Located on a bluff overlooking San Juan Channel, a modest retreat rests where forest, meadow and water meet. 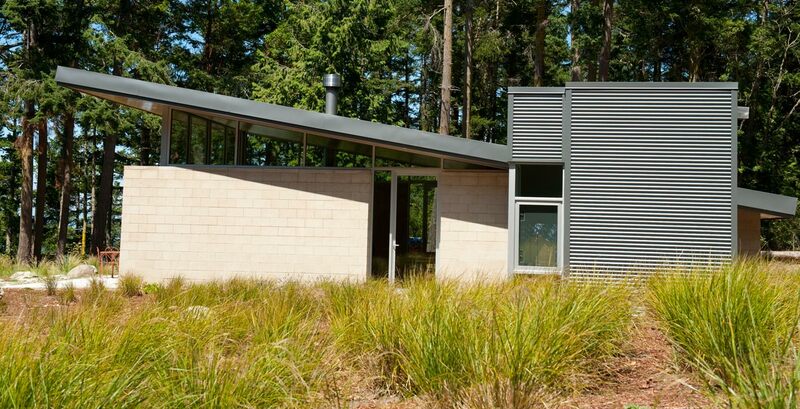 Designed by Stuart Silk Architects, this 1,300 square foot cabin on Lopez Island combines fluid design with sustainability and practicality. 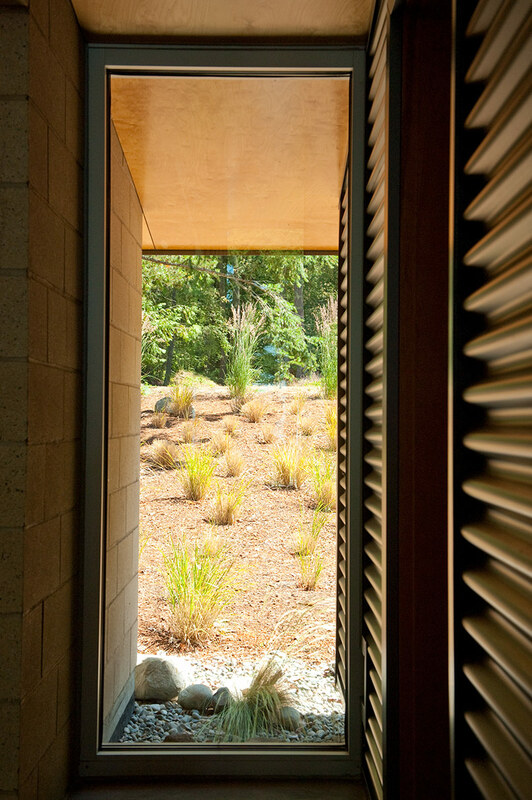 Conservation and durability dictated the selection of materials; exterior concrete walls regulate interior temperature, storing heat during the day to keep the house warm overnight. Floor-to-ceiling glass and clerestory windows in the main living area not only maximize the view but bring in ample natural light, reducing the need for artificial lighting. This cabin was featured as an Architectural Record pick of small vacation houses.